One week into summer, and the kids are already restless. 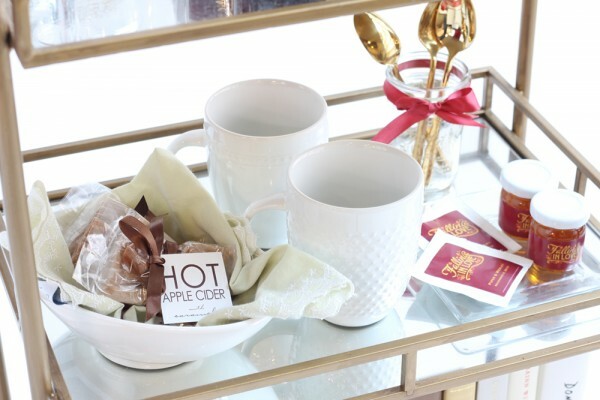 Before you turn to the i-device (not that we would judge), read this post! We’ve collected a ton of super-awesome activities to help you and the kids beat summer boredom. 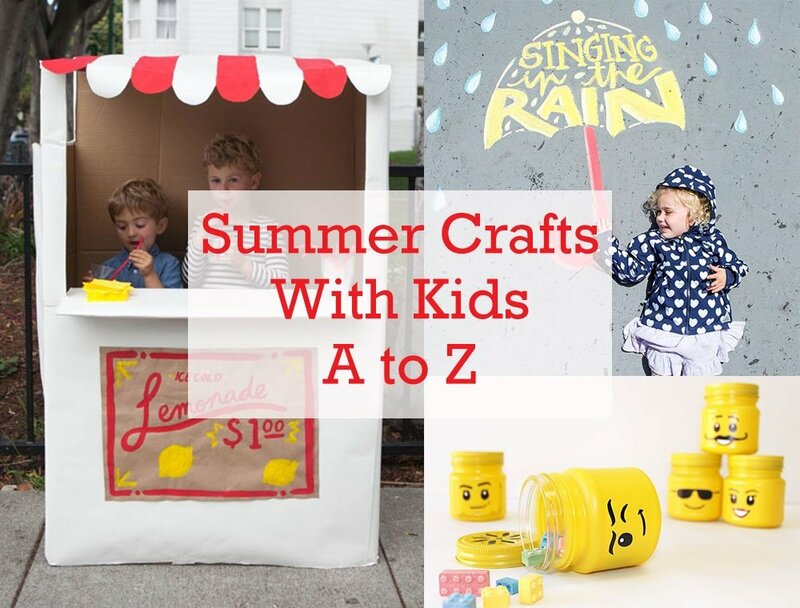 Read on to discover the best summer crafts, from A to Z. A is for airplane, as in DIY airplanes made of clothespins and popsicle sticks. 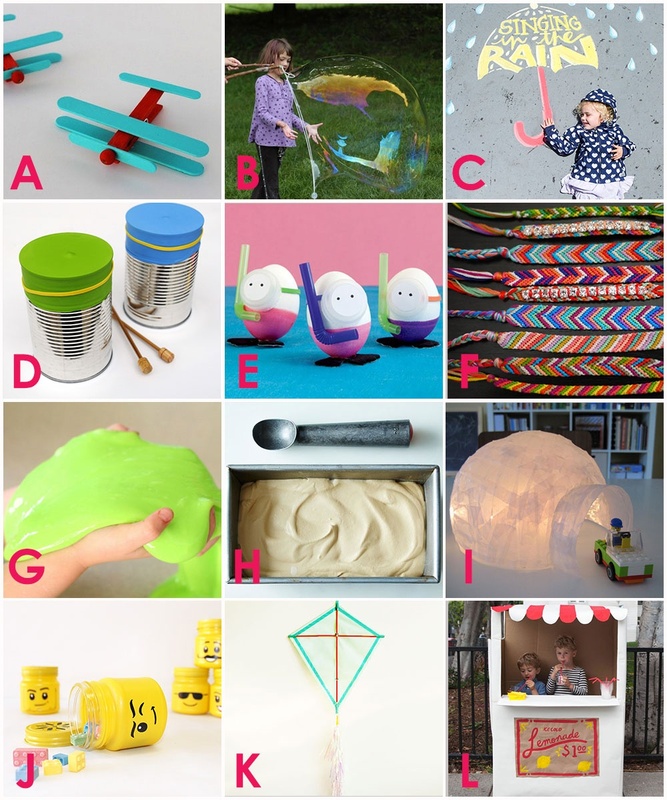 B is for bubbles, like the ones we’re going to make with our giant bubble wand! C is for chalk, which we’ll use to make chalk sidewalk art. D is for drums, and this bongo drum / rice shaker combo beats the rest! E is for egg decorating, which isn’t just for Easter anymore. 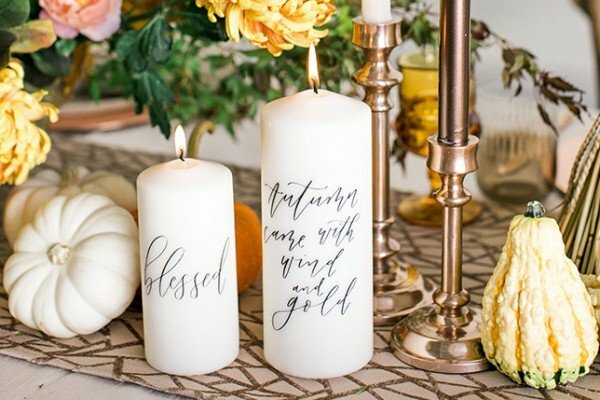 We want to try every one of these egg decorating ideas! F is for friendship bracelets, and it’s been ages, so this tutorial for DIY friendship bracelets will really come in handy. G is for goo, and to be honest, we don’t know what to do with it, but this recipe for homemade gak has piqued our interest! H is for homemade ice cream, which is more of a treat than an activity, but this recipe for ice cream without a machine is so easy, the kids could do it. I is for igloo, and we think this vellum paper mache igloo looked sooo coooool. J is for jar, which is what we used to make this Lego jar head container. K is for kite, and we can’t wait to get our DIY kite airborne! L is for lemonade stand, as in the best way to teach kids about running a business is to help them launch a DIY lemonade stand. M is for mini clay bowls that you can make without an oven, just like these bunny clay bowls made with air-dry clay. N is for noodle, as in noodle art, like this adorably painted bowtie pasta. O is for origami, and we tested different ways to make our origami sailboat waterproof…see for yourself. P is for potato stamps, and with your own custom potato stamp, you can make cards, t-shirts, wrapping paper, and more! Q is for Q-tip darts, which is essentially shooting cotton swabs out of a straw, but you can have hours of fun when you turn it into a Q-tip blowdarts game! R is for rock monsters, which are not monsters hiding among rocks, but rocks that you paint into rock monsters! S is for summer themed pinatas, because we’ve always wanted to make our own DIY pinata filled with nothing but Skittles. T is for the tricycle carwash that will make your front lawn the coolest place to be this summer. We would suggest partnering up with the lemonade stand kids as a value-add for your tricycle car wash customers. U is for up, up, and away which is the theme for this adorable hot air balloon mobile. V is for vacation, and after the trip, you’ll want to make these nice vacation memory jars as keepsakes. W is for wooden peg dolls, and you can seriously make a peg doll for everyone you know. X is for xylophone, and we bet you thought we wouldn’t be able to come up with something for ‘x’! Good thing we found this tutorial on how to create a rainbow xylophone with glasses of water. Y is for yarn, which has way more uses than knitting, such as making these unique yarn block prints. Z is for zoo, and you can take a trip to the zoo, or make awesome zoo animal puppets, then put on a play! 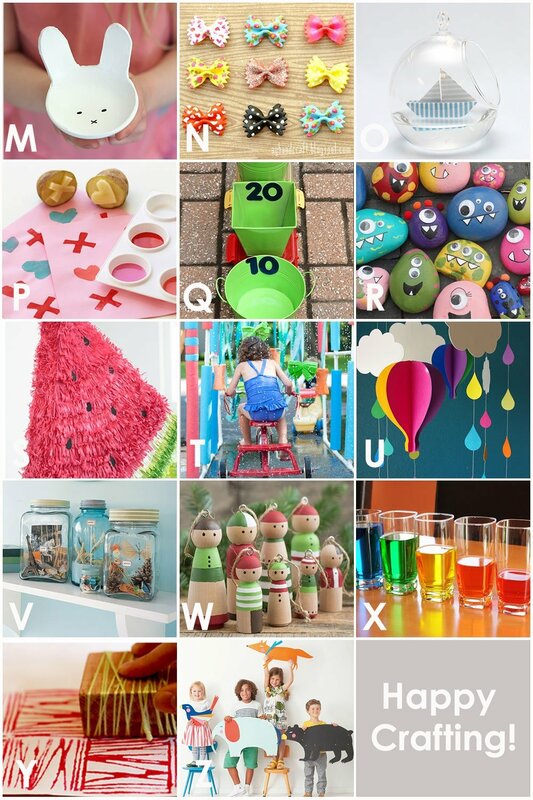 We hope you’re as excited as we are to try some of these summer crafts, and remember that the kids are not the only ones who need a little device detox! Get out and enjoy the summer!